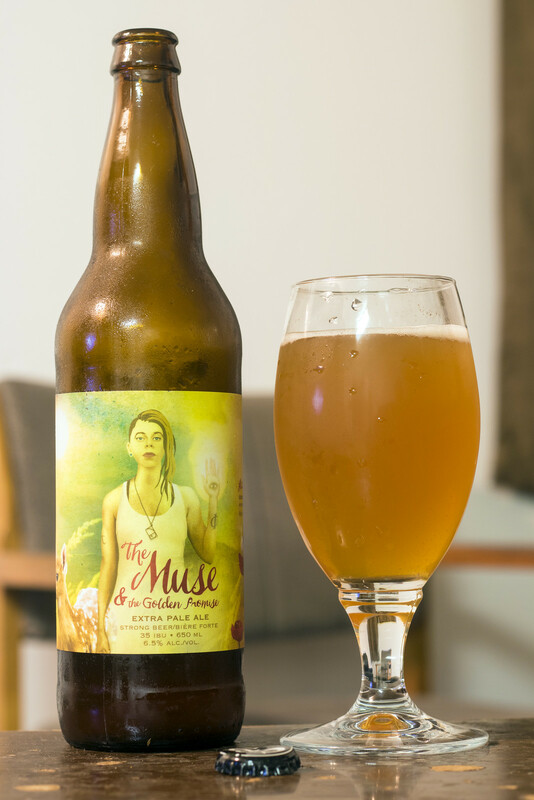 It's been a while since I've seen any beers by Penticton BC's Cannery Brewing, but I saw a nice selection while I was in Saskatchewan last year, so I had to pick out some that I've never had before, including this beer - The Muse & The Golden Promise. The Muse & The Golden Promise is described as her serene blend of Golden Promise malts, California ale yeast, and Simcoe hops flow seamlessly together weaving a path of strength and vitality. The Muse is the heart, the spark, that enchants your mind in such a way you can't think of anything else but her. Appearance: The Muse pours a cloudy orange ale with a light amount of sediment and a light amount of white foam on top. Aroma: Mildly bitter hop profile with pine and grass, a bit of a caramel sweetness and lemon. There's a light amount of tropical sweetness that gives off pineapple and apricot. 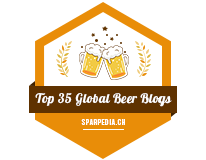 The grassy hop profile seems to be one of the most dominant aromas. Taste: Pretty typical for a Pale Ale - it has a good pine and grassy hop profile, a moderate amount of caramel malt sweetness, some tropical apricot/pineapple notes. There's also a bit of soapiness and a sharp pine bitterness for an aftertaste.